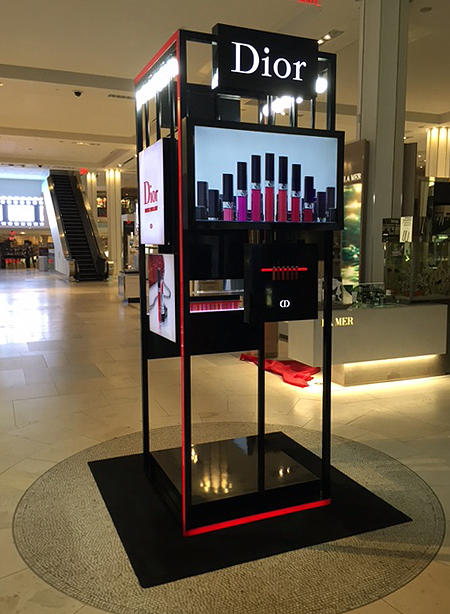 Little Red Riding Lips: Christian Dior Displays at Macy's — Geoff Howell Studio Inc.
For the launch of Christian Dior's new lipstick collection called Rouge Brilliant, Geoff Howell Studio was hired to create four kiosks for the flagship Macy's 34th st cosmetics floor. The fixtures were complex and contained backlit hi res graphics, video content, welded steel framing, product displays and backlit logos as well as backlit red striping. A great example of all of our production skills at Geoff Howell Studio!